Kira Vermond is an award-winning writer with over 1,000 articles to her name. She is a frequent contributor to the Globe and Mail, Chatelaine, Today’s Parent, and is the author of Why We Live Where We Live and The Secret Life of Money: A Kid’s Guide to Cash. She lives in Guelph, Ontario, Canada. Clayton Hanmer is an illustrator whose crude, energetic comic style has given him a surprisingly broad range of clients from The Globe and Mail to Owl Magazine. He is also the illustrator of The Secret Life of Money by Kira Vermond (Owlkids Books, 2012) and Not Your Typical Book About the Environment by Elin Kelsey (Owlkids Books, 2010). He lives in Toronto, Ontario, Canada. Do you believe in telling the truth? Sure you do. But even that’s a lie — because we all lie. Whether to protect a friend, to make someone feel better, or to avoid telling even bigger lies later, lying is actually central to human nature. Usually we’re taught that lying is bad, and that’s that. But in reality, it’s rarely so black and white. Kira Vermond’s latest book answers questions like: Why do we lie? What types of lies are there? What are the consequences of lying? What methods are used to detect lies? And when is it okay or even good to lie? 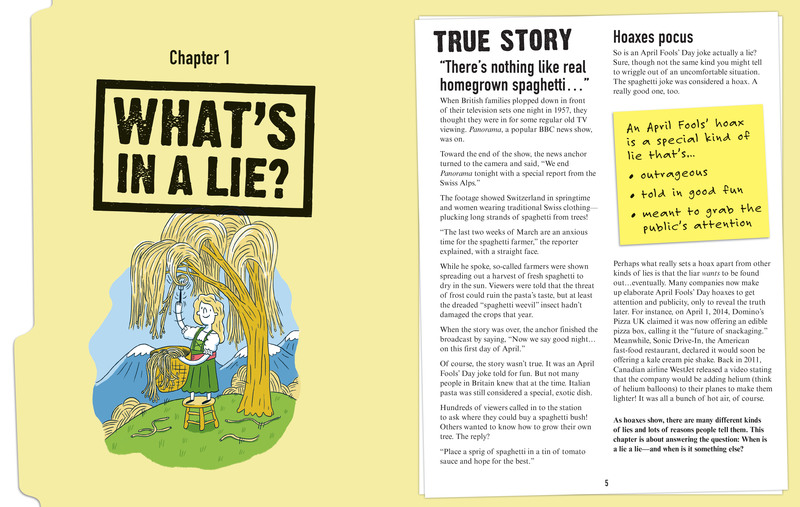 From forgeries and hoaxes to plagiarism and placebos, Half-Truths and Brazen Lies offers historical anecdotes, scientific studies, and sociocultural analyses to help unpack the complex world of untruths. 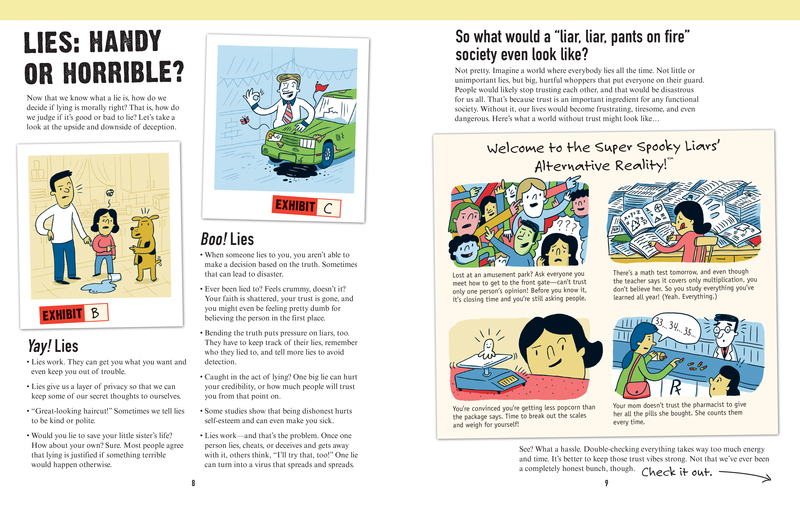 Told in a witty, conversational tone with an index and full-color illustrations, the book takes a thorough, nuanced approach to a fascinating aspect of human behavior.